Eric Slifka heads up the company founded by his grandfather in 1933 with one oil truck. ALBANY, N.Y. — Hundreds of rail cars stretch toward the horizon, black as the crude they carry from shale fields in North Dakota. From here, the oil will move by barge and truck to East Coast refineries, a stopover on the way to its ultimate destinations: family cars, home heating systems, and fleets of trucks. The rail yard — in a larger complex of tracks, roads, pipes, and storage tanks — has become a key gateway in a virtual pipeline stretching across the country, helping transform a family-owned Waltham fuel distributor into a Fortune 500 company in less than a decade. 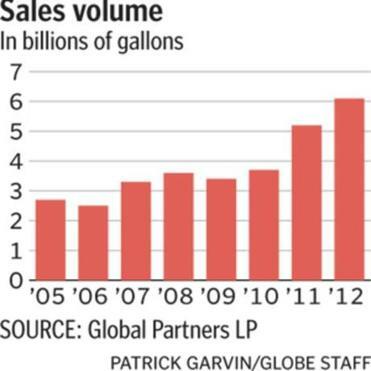 Tapping into the boom in North American oil production, Global Partners LP, since becoming a public company in 2005, has more than doubled the volume of fuels it sells to 6.1 billion gallons and quadrupled its revenues to $17.6 billion last year. Today, the company, number 157 on the Fortune 500 list, operates a network of rail-loading facilities, storage and barge terminals, and gas stations in more than 20 states, distributing crude, gasoline, ethanol, and other fuels. It employs 1,650 workers, including more than 600 in Massachusetts. And, industry analysts say, Global is pushing to expand further, with the major oil producing region along the Gulf of Mexico a likely spot. So how did Global become this powerhouse? By following a strategy of steady expansion and jumping at chances to acquire assets. Take the 63-acre tank farm here. In 2007, when Exxon Mobil wanted to sell the terminal, Global Partners snapped it up, looking to expand its storage capacity. 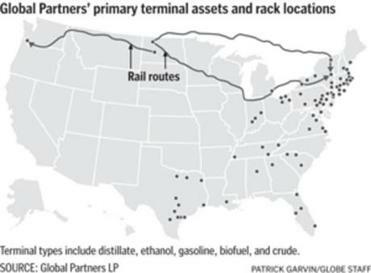 But it soon began eyeing the property’s small rail loading facility with two tracks as an opportunity to transport ethanol from the Midwest. By 2010, Global had added four more 1,200-foot-long train lines connecting the property to the upper Midwest branch of the Canadian Pacific Railway — just as the boom in oil production, aided by the controversial drilling technique known as fracking, was getting underway in North Dakota. As production outstripped pipeline capacity, and oil companies turned to rail as an alternative, Global was perfectly positioned. Workers unhooked a fuel barge on the Hudson River (top right) at Global Partners’ terminal in Albany, N.Y. Global Partners traces its beginnings to 1933, when Abraham Slifka opened Slifky’s Reliable Oil Burner Service in Dorchester, a one-truck heating oil business that served homes and businesses in the area. His wife, Sonya, did the books. 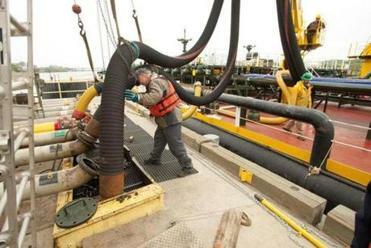 The company continued to grow, partnering briefly in the late 1990s — when it became known as Global Partners — with the Spanish oil company Repsol and buying or leasing terminals in Maine and Rhode Island. The Slifka family bought out Repsol in 2003. Two years later, Abraham Slifka’s grandson, chief executive Eric Slifka, took Global Partners public, trading on the New York Stock Exchange. “I’m lucky, I know that. The family company was able to make a transition,” said Eric Slifka, 48, during an interview at the company’s Waltham headquarters, where the lobby and conference rooms are decorated with vintage gas pumps, paintings, and artistically styled photographs of the company’s terminals and gas stations. As with previous generations of Slifkas, Eric Slifka has shown a knack for finding and seizing opportunities. Expanding into rail transportation was one. Getting into the crude market, after decades of exclusively dealing with refined fuel and natural gas, was another. In January, Global signed a contract to deliver 91 million barrels of shale oil from the Bakken region of North Dakota to Phillips 66’s Bayway refinery in New Jersey over the next five years. The deal means Phillips can decrease its imports of foreign crude in favor of domestic oil that costs a few dollars less per barrel, saving the refinery millions. To take advantage of that even more than it already has, Global has completed several deals this year, including purchasing a controlling interest in a North Dakota loading facility that connects via the BNSF Railway to a newly acquired crude and ethanol facility in Oregon. So what’s next for Global? 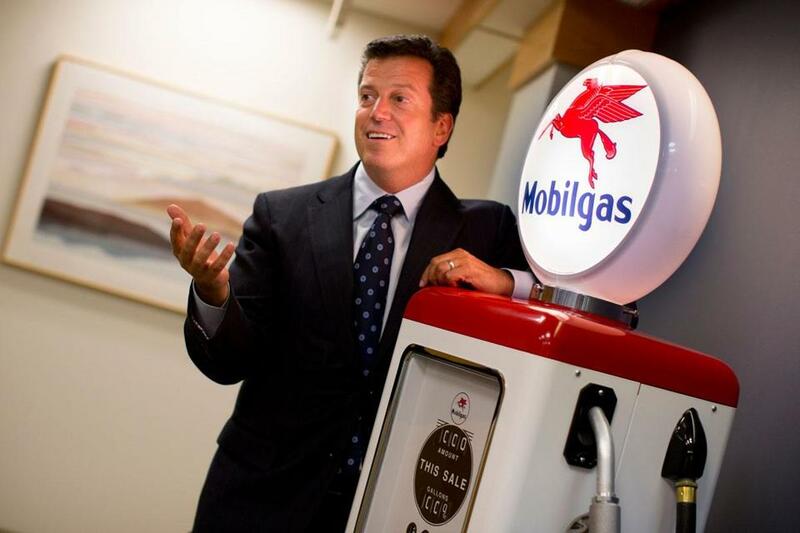 Slifka has his eye on several new markets and new acquisitions, including natural gas. The company recently partnered with OsComp Systems Inc., an MIT energy spinoff with offices in Boston and Houston, to provide compressed natural gas to industrial and municipal customers in New England. Global has already started building on the opportunity, announcing recently that it had won approval to develop a loading station in Bangor, where it will compress natural gas.